Tandoori dishes originated in the northwest part of India (near the region of Afghanistan and Pakistan). A Tandoor (clay oven) was used to make flatbread for the community – dough in the form of “tandoori roti” or “naan” was patted into flat round or tear shaped disks, moistened and stuck to the clay oven which was set over hot coals. It was also used to cook skewered meat or chicken, with the tip of the skewers placed in the coal so the meat could be could cooked by both radiant and convection heat. 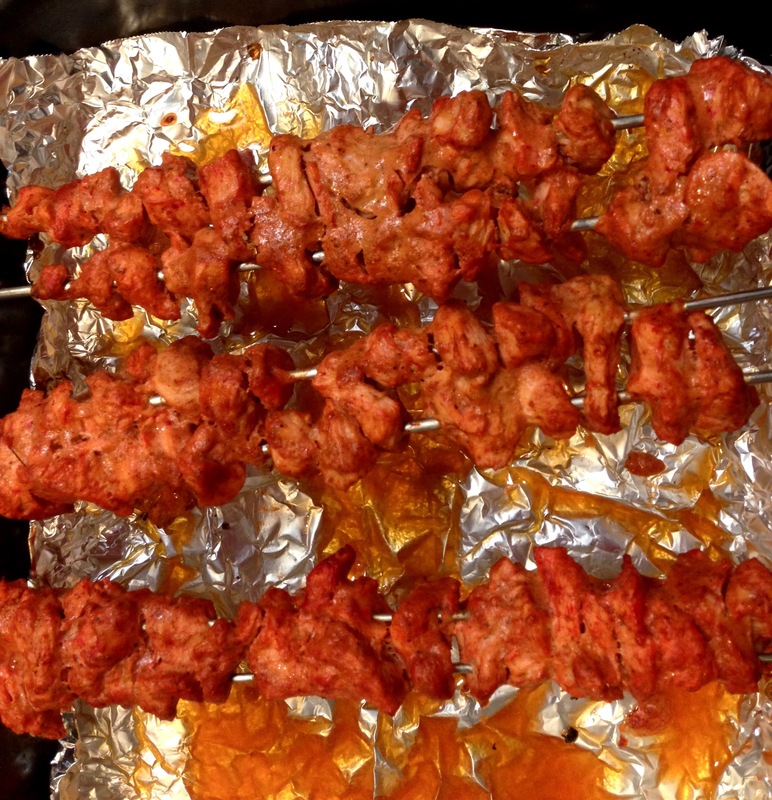 My first introduction to tandoori chicken was in Old Delhi at a very well known restaurant called Moti Mahal. There was not much to the atmosphere but the restaurant was always packed – the food was outstanding! Tandoori food is pretty simple to make at home if you have a grill, and even using a standard oven. 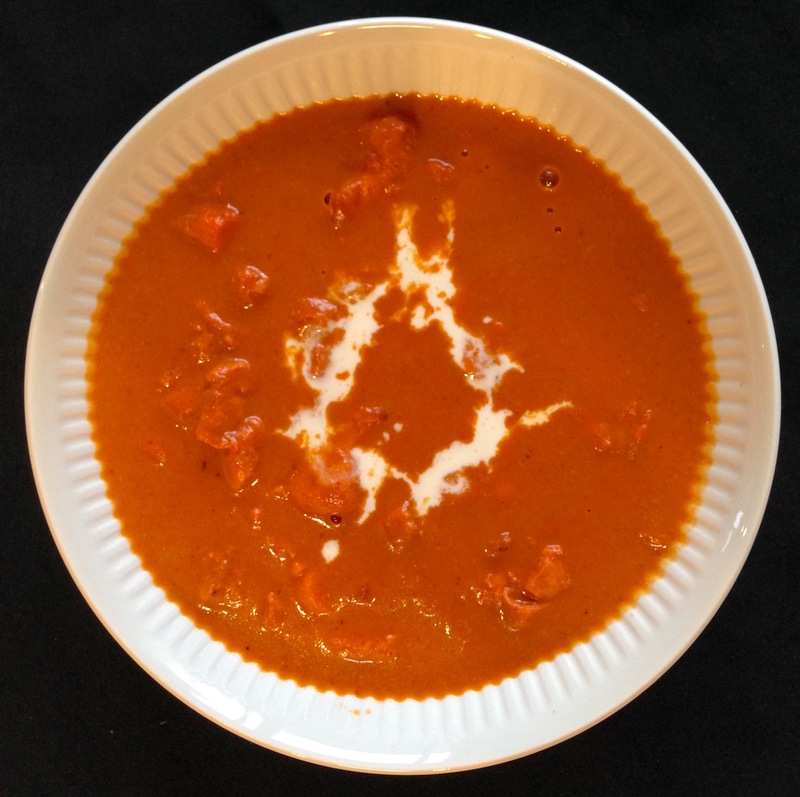 I used to make Murgh Makhani using tomato puree, but came up with an even easier and tastier short cut- using tomato soup. 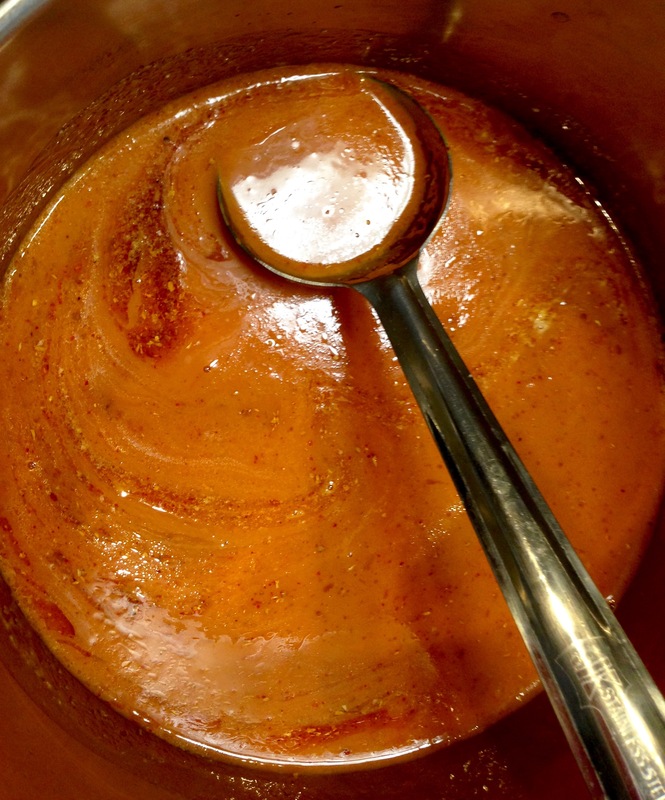 I have been using Trader Joe’s Tomato, or Tomato & Roasted Red Pepper soup which comes in a carton. This can also be made as a vegetarian dish substituting paneer (indian cubed cottage cheese) or tofu. 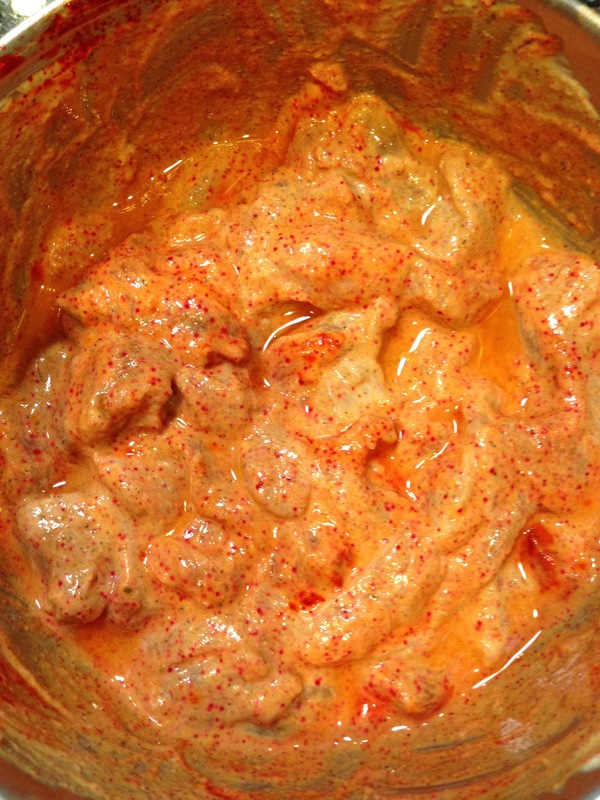 Mix all of the “marinade” ingredients together, and then stir in the chicken. Keep in the fridge for at least 4 hours or overnight. Skewer the chicken. Grill or broil on each side, about 4 minutes, until the chicken is cooked (about 8 minutes total). If using the broiler, place the rack one level from the top. Remove from skewers and set aside. 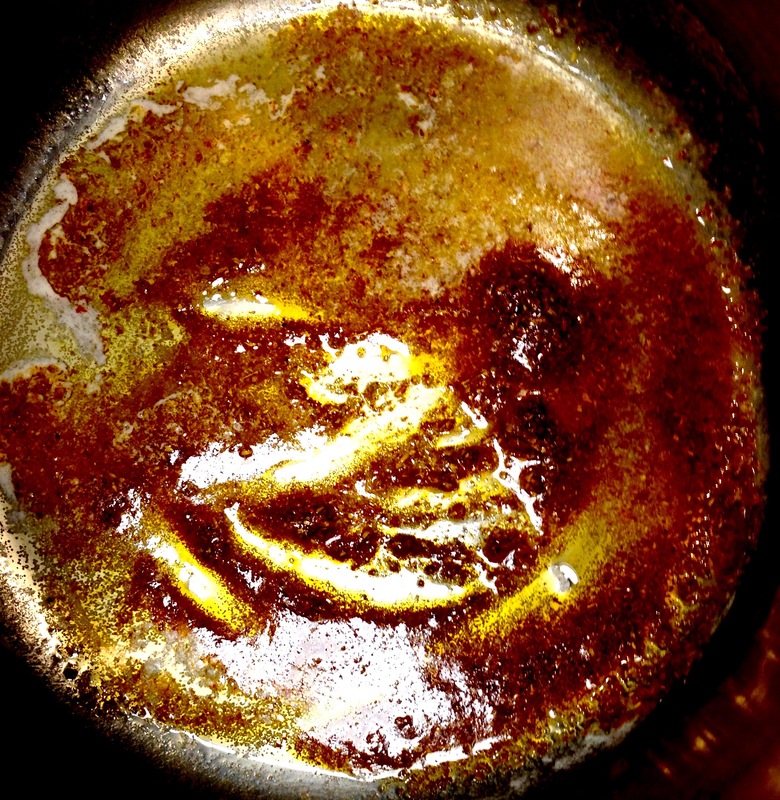 In a medium saucepan, heat the butter on low heat, till it is melted. Add the cayenne pepper, salt and coriander powder. Stir and add the tomato soup. 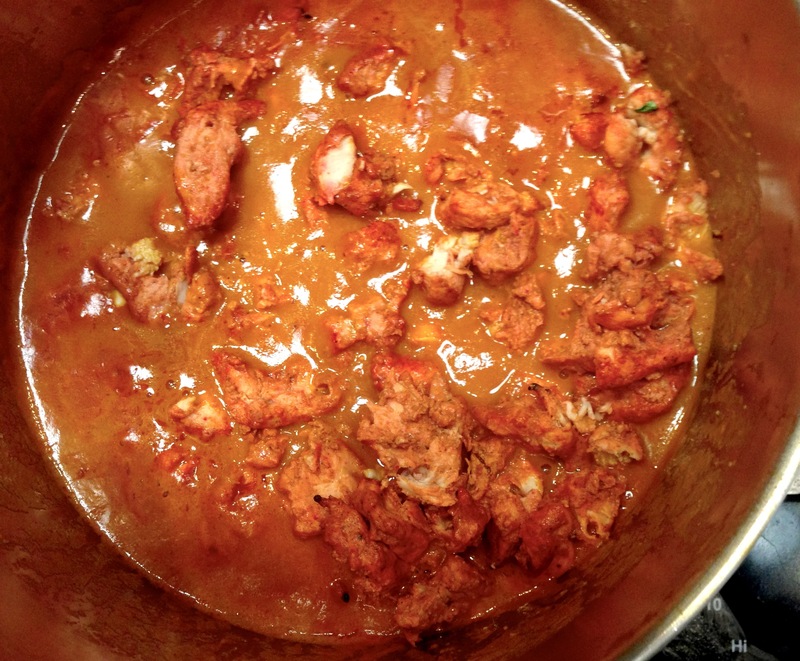 Simmer for 5 minutes; then add the tandoori chicken pieces. 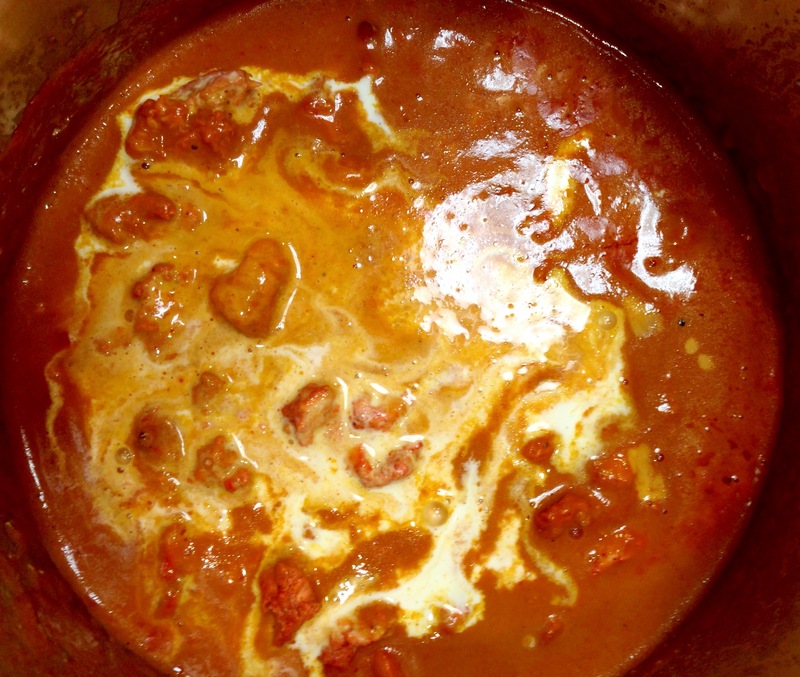 When heated through add the whipping cream, simmer for 3-5 minutes. * I prefer Greek yogurt, as regular yogurt makes the marinade more watery, but I use whichever I have on hand.